I’m always amused by dishes now considered gourmet and upscale that were in years past ridiculed as peasant food. Foods like lobster, oysters, foie gras, and famous dishes like coq au vin and boeuf bourgignon used to be the food of the poor – now they’re only served in the nicest restaurants and come with high price tags. Confit, a French delicacy, is another such example. It’s preparation had little to do with luxury, rather it was done out of necessity. It involves a centuries-old method of slowly poaching meat in fat and seasonings. Left to cool, the fat rises to the top, solidifies, and creates a protective covering of fat that prevents any oxygen from reaching the meat (which is what causes spoilage). This method thus preserves the meat, extending its shelf-life, and the meat underneath can be stored for up to several months. This same method in the UK is known as potted meat. 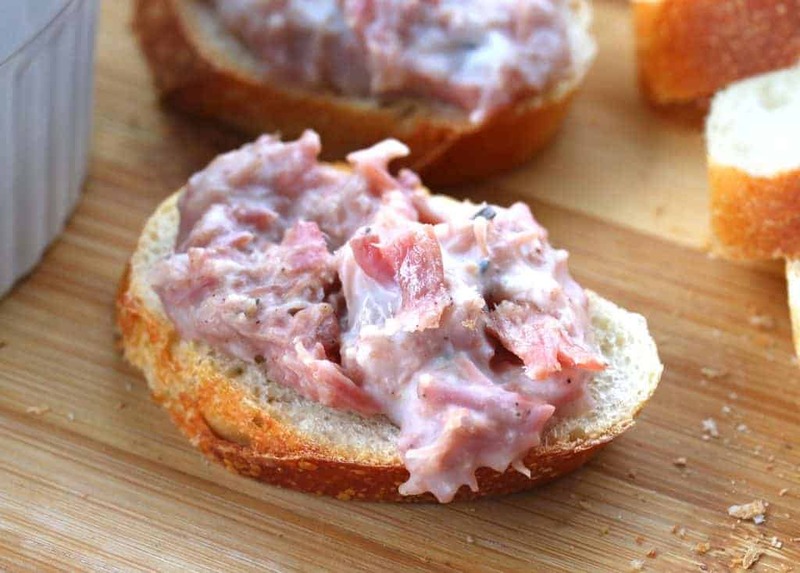 Rillettes, today’s featured recipe and also a French delicacy, are a type of confit. They’re commonly made from pork but are also made with duck, goose, rabbit, poultry and fish. The process involves cubing the meat, generously seasoning it, slowly simmering it in fat until fork tender, finely chopping the meat, mixing in some of the fat to make a spreadable consistency, and then letting it cool with a layer of fat over it. Properly sealed, rillettes will keep in the fridge for several months (and only taste better with time) so they’re super convenient for always having on hand for entertaining. Simply cut up some baguettes, spread them with rillettes, and place them on a serving platter with things like olives, pickles, pepperoncini, pickled asparagus, pickled onions, pickled peppers, etc. 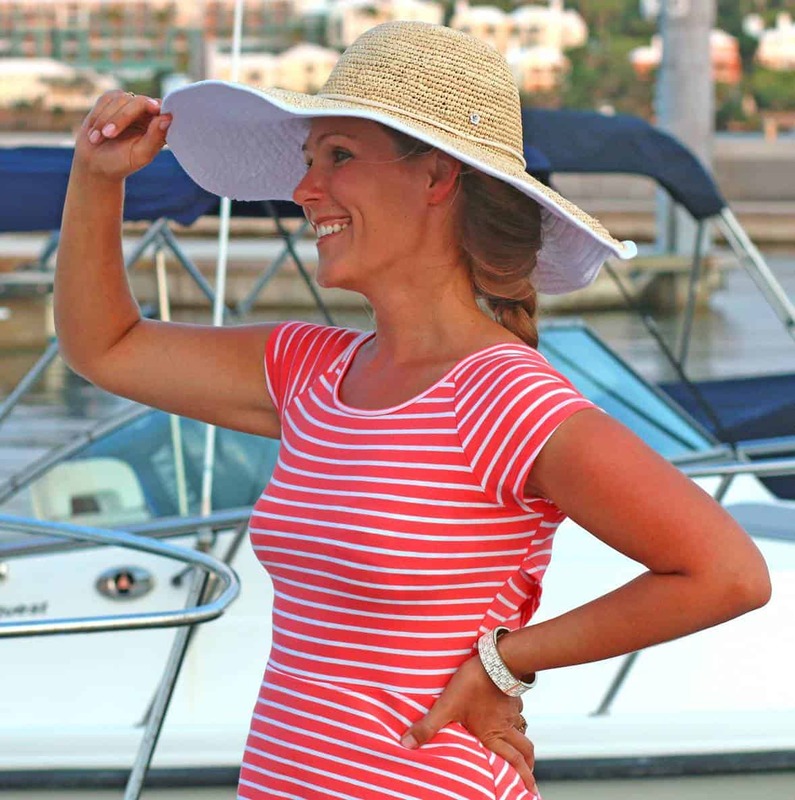 and you’ve got a wonderfully elegant and perfectly delicious option for hors d’oeuvres or even a light meal. 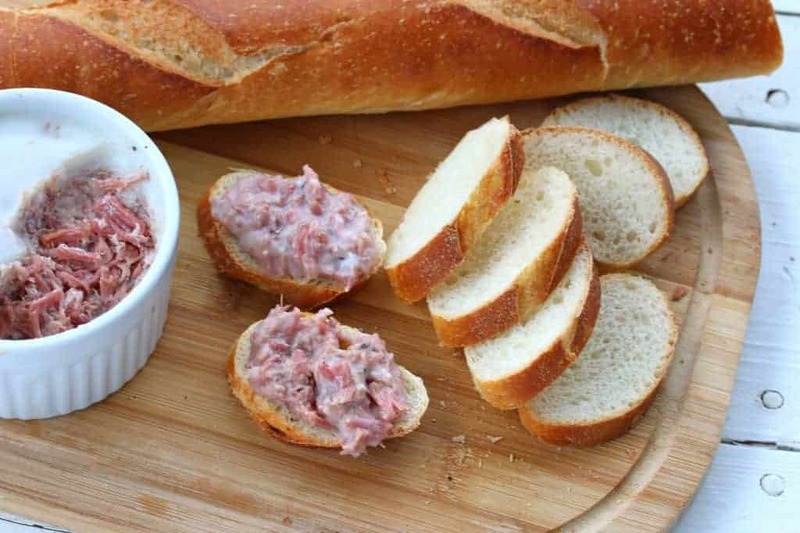 It’s no wonder rillettes have been wildly popular throughout France for generations – they are incredibly delicious and are one of my favorite go-to’s for entertaining. Imagine sinking your teeth into the most exquisitely flavored fork-tender pork that has been simmered for hours in aromatic spices and then spread on crispy baguettes…c’est très délicieux! Be sure to select quality, pasture-raised pork for the best and most flavor possible. 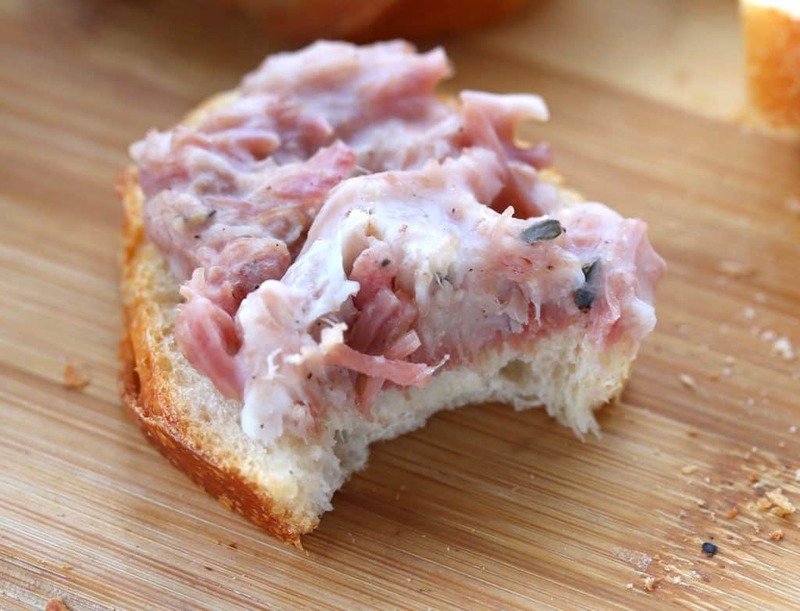 Coupled with the seasonings and quality lard, once you try these rillettes and let the flavors permeate your mouth, you will be hooked! Find a good piece of boneless pork shoulder. For optimal quality and flavor choose pasture-raised pork and dice it into 1-inch cubes. Place the pork in a large mixing bowl. 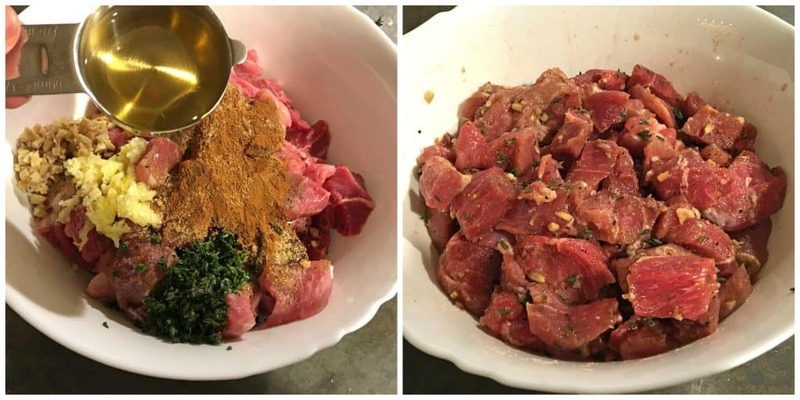 Add all remaining ingredients to the pork, except for the lard, and use your hands to mix and rub the pork until it is thoroughly combined with the spices. Cover with plastic wrap and refrigerate for 3 days. After 3 days, remove the pork and let it sit at room temperature for 30 minutes while you prepare the lard. Preheat the oven to 275 degrees F.
A note about lard: You’ll need about 14-18 ounces of high quality lard, depending on the molds you use for your rillettes. Be careful about where you get it as almost any lard you find in the grocery store is hydrogenated lard – avoid it. For pure, clean lard with the best flavor, you should ideally render your own from pasture-raised hogs – it’s super duper easy! Honestly, it is. PLUS, it’s much, MUCH cheaper than buying it!! Check out my tutorial on How to Render Lard (and Why You Should Use It). If you really don’t want to be bothered rendering lard yourself (it really is super easy, really truly), then I recommend this one which you can buy online. Once you have the lard, melt it slowly in a saucepan until it is liquified. Place the pork in a Dutch oven, spread out evenly, and pour the melted lard over it making sure the meat is completely submerged under the lard. If not, melt some more lard and add it. If you’re completely out of lard and only need to add a little more to go, you can top it off with olive oil. Cover the Dutch oven with the lid, place it in the preheated oven and cook for 2 ½ to 3 hours or until the pork is fork tender. The aroma coming from your oven as it’s simmering and when you lift the lid from the pot will have you salivating in anticipation! Remove from the oven and let it cool down until cool down until cool enough to handle. Discard the juniper berries. Use a slotted spoon to transfer the pork to a chopping board. Use a ladle to skim the fat off the top of the liquid in the Dutch oven, being very careful not to scoop up the liquid with the fat. The fat will be floating on top and is fairly clear in color while the liquid underneath it is dark. Set the skimmed fat aside. As the liquid cools down any remaining lard on top will solidify and you can remove the rest. Pour the cooking liquid into a measuring cup and set aside. Finely chop the pork. Place the chopped pork in a large mixing bowl and add 1/3 of the reserved lard along with 1/3 of the liquid from the Dutch oven. Stir until well combined. Add salt to taste. Place the meat in a large casserole dish or divide it between several smaller terrines according to your preference. Press the meat down gently to even it out. Chill for at least one hour. Place the rest of the reserved lard in a saucepan and melt it. Pour it over the chilled rillettes so they are covered by at least ¼ inch of lard. Cover and chill until the lard is solidified. 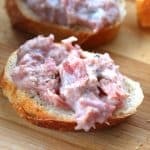 Rillettes are best eaten a few days later after the flavors have had time to meld but are also delicious eaten right away. The rillettes will keep in the fridge for at least 2 months and, if properly covered in fat with no air pockets, will last even longer. Let the rillettes sit at room temperature for about an hour before serving so it is softened to a spreadable consistency. If you’re not going to eat it all and don’t plan to finish the leftovers within a few days, re-seal the exposed area with a layer of lard. To serve, cut up some baguettes, spread them with rillettes, and place them on a serving platter with things like olives, pickles, pepperoncini, pickled asparagus, pickled onions, pickled peppers, etc. 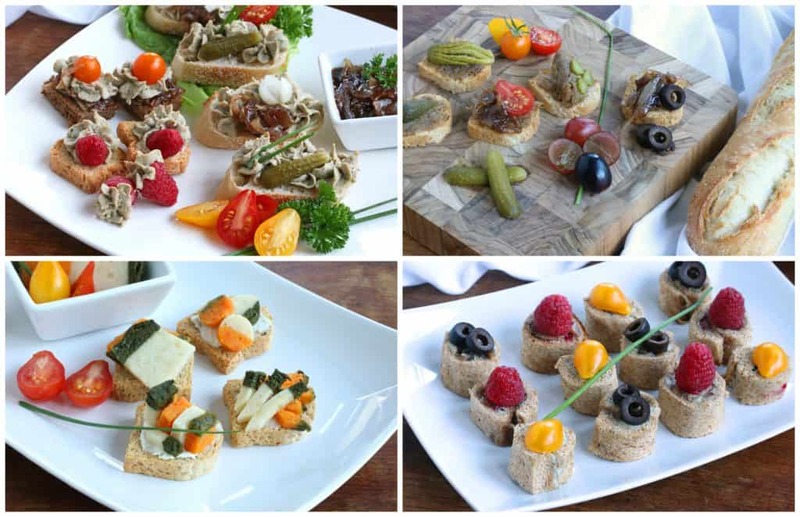 Serve as hors d’oeuvres or enjoy them as a light meal. For some additional French entertaining ideas, check out French Entertaining “Country Style” and French Entertaining Nouvelle Cuisine! Imagine sinking your teeth into the most exquisitely flavored fork-tender pork that has been simmered for hours in aromatic spices and then spread on crispy baguettes...c'est très délicieux! Place the cubed pork in a large mixing bowl and add all remaining ingredients except for the lard. Use your hands to mix and rub the pork until it is thoroughly combined with the spices. Cover with plastic wrap and refrigerate for 3 days. Remove the pork and let it sit at room temperature for 30 minutes while you prepare the lard. Preheat the oven to 275 degrees F.
Melt the lard slowly in a saucepan just until liquefied. Place the pork in a Dutch oven, spread out evenly, and pour the melted lard over it making sure the meat is completely submerged under the lard. If not, melt some more lard and add it. Cover the Dutch oven with the lid, place it in the preheated oven and cook for 2 ½ to 3 hours or until the pork is fork tender. Remove from the oven and let it cool down until cool down until cool enough to handle. Discard the juniper berries. Use a slotted spoon to transfer the pork to a chopping board and finely chop the meat. Place the chopped pork in a large mixing bowl and add 1/3 of the reserved lard along with 1/3 of the liquid from the Dutch oven. Stir until well combined. Add salt to taste. Place the meat in a large casserole dish or divide it between several smaller terrines according to your preference. Press the meat down gently to even it out. Chill for at least one hour. Place the rest of the reserved lard in a saucepan and melt it. Pour it over the chilled rillettes so they are covered by at least ¼ inch of lard. Cover and chill. Let the rillettes sit at room temperature for about an hour before serving so it is softened to a spreadable consistency. If you're not going to eat it all and don't plan to finish the leftovers within a few days, re-seal the exposed area with a layer of lard. To serve, cut up some baguettes, spread them with rillettes, and place them on a serving platter with things like olives, pickles, pepperoncini, pickled asparagus, pickled onions, pickled peppers, etc. Rillettes are best eaten a few days later after the flavors have had time to meld but are also delicious eaten right away. The rillettes will keep in the fridge for at least a month and, if properly covered in fat with no air pockets, will last even longer. What a great appetizer option! I cannot wait to try the out! Sounds like an amazing appetizer to serve on Easter Day! I will have to try this! What a great way to expand appetizers on the table. Looks great for a party! You had me at rendered lard. I’d be all about this. Yikes! I’m in Canada so checked out your lard link brand on amazon Canada only to find the cheapest price for a 14 ounce jar is $155.62CD! Whew! Think I’ll be looking around for a much cheaper brand or simply stick to my non hydrogenated although btu added to prevent rancidity, always reliable Tenderflake lard that I, my Mother and Grandmother have always used that can be purchased for under $5. I’ve a French Canadian friend who’s father often talks about how his Mother used to make a pork and fat dish similar to yours when he was a child so have been checking out old French Canadian/Quebec cookbooks as well as online sites to see if I could find the closest thing to the recipe he remembers from way back then. He does not refer to it as rillettes though, also doesn’t remember the name his Mother used either, to him it’s fat/lard over pork that was pressed into small bowls till hardened then eaten cold. But, with his Mother’s way of making it being a whole pork roast done in the oven till fall apart tender, the meat then being broken up & put through a hand crank meat grinder. His Mother would serve it as you do, cold with homemade toasted bread or homemade crackers. Problem being my friends Father has no idea what seasonings his mother used, he just says “she added spices” but would love to be able to taste that old childhood favourite again. Your recipe is pretty darn close to other’s I’ve found, closer actually, so will have to give it a good read over then perhaps make a small quantity first to see if it might pass the taste test with my friend’s Father. Double yikes, Joycelyn! That’s insane. Even the price on the U.S. Amazon site is crazy expensive for what you get. But for $155.63CD you could practically make a lifetime supply of it yourself! As with most things, I recommend making it yourself anyway if you have access to leaf/kidney fat at a local butcher. 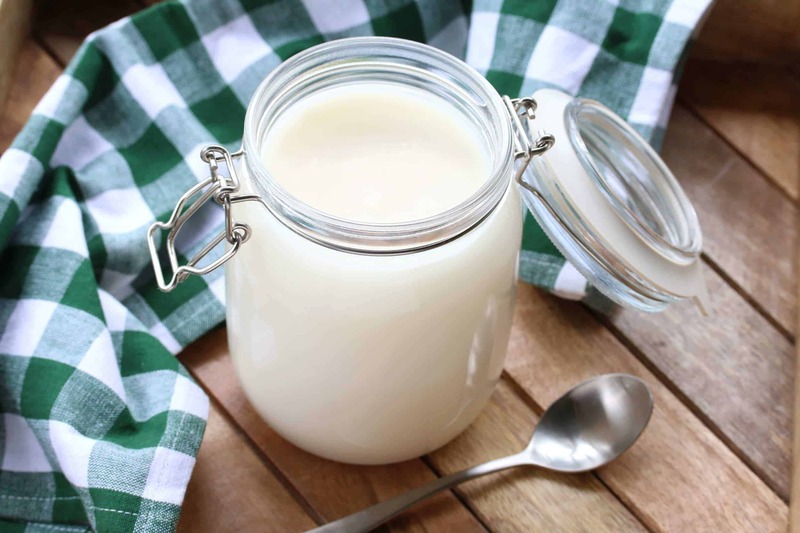 VASTLY cheaper, fresher and I just have more confidence in its purity: https://www.daringgourmet.com/how-to-render-lard-and-why-you-should-use-it/. Definitely, make a smaller batch and see what he thinks. And then let us know what you both think!